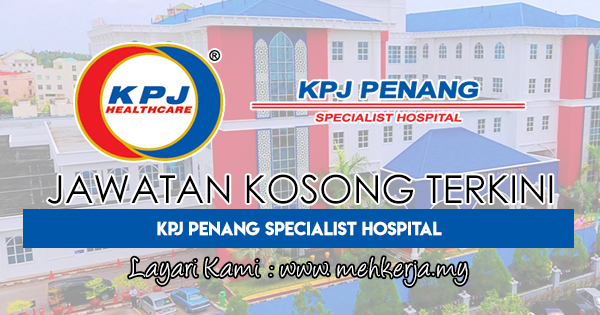 KPJ PENANG SPECIALIST HOSPITAL, is a multi-disciplinary private specialist hospital located in Bandar Perda, Bukit Mertajam, Penang. It is a fast expanding network under KPJ Healthcare Berhad, a healthcare group listed on Bursa Malaysia with a network of 22 hospitals in Malaysia & 2 in Indonesia. 0 Response to "Jawatan Kosong Terkini di KPJ Penang Specialist Hospital - 4 Mei 2018"